How’s life? I’m trying to keep up. Overall, things are going well, but keeping up with this comic is hard because this scene is tough. They aren’t pages I can just crank out, but I’m working on a comic right now that I AM cranking out for a paycheck. So that’s winning all my drawing energy at the moment. I’m going to do my best to get another page done this week so we don’t lose a week. BEARS WANT TO KILL you is coming along nicely. I have the entire book laid out and about 80% of the images and artwork put together as well as about half the text. It’s 230 pages or so. 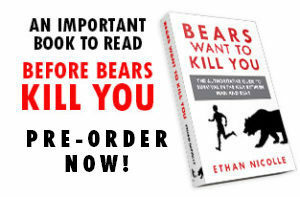 It will be the ultimate textbook on bear survival myth. 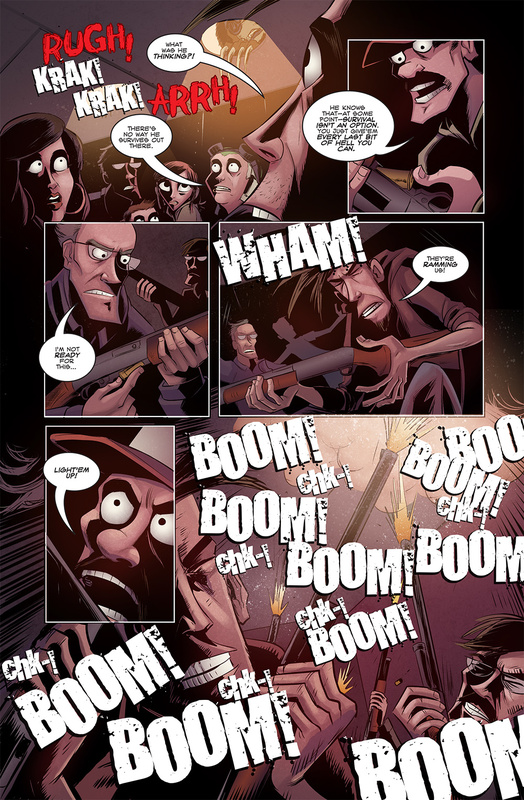 If you missed the Kickstarter there is still time to pre-order it here. If you have kids or you yourself watch Teen Titans Go! I had my first two episodes air this week. “The Scoop” and “Chicken in the Cradle.” Check out my Patreon post on the whole writing process on a show like Teen Titans Go as well as samples of the actual outlines and scripts. If you join my Patreon at $5/month you get almost all of the blog posts included. Join for $2/month to get Bearmageddon a week early.